Food is likely to be a big part of your stay on La Gomera. 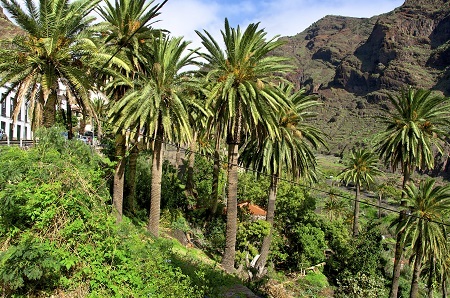 Whether you choose to enjoy the delights on the menu at one of the Hotel Jardin Tecina's four restaurants, or you venture into the island’s main town of San Sebastian, there’s sure to be a chance to sample some of La Gomera’s vibrant cuisine. So to give you an idea of what you can look forward to, here’s what a menu on this sun-drenched Canary Island could look like. Ropa Vieja literally means ‘Old Clothes’ in English and is so called because it is often made using the leftover meat from another meal. The dish originated in poor areas, where families used to have to be thrifty and so the name ‘Old Clothes’ was used as the meal mimicked the action of reusing garments even when they were a bit threadbare. 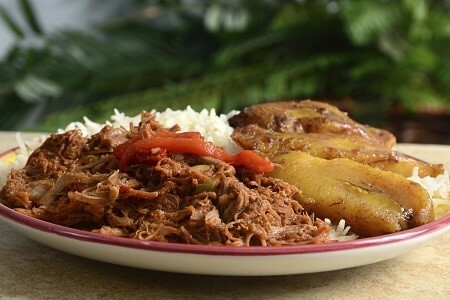 A traditional Ropa Vieja usually contains onions, celery, garlic, peas, herbs, wine and either beef, chicken or pork. There is also a vegetarian version where Garbanzo beans are used instead of the meat. 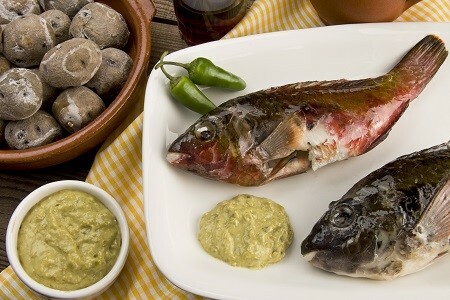 With La Gomera being an island, there is no shortage of seafood on the menus here. And one of the most popular fruits of the sea in the Canary Islands is parrotfish. You may find this dish served ‘a la plancha’, which literally means grilled whole on a hot plate, but it’s most commonly oven-baked. Parrotfish is said to have a soft, crumbly texture and tastes great when baked in oil and served with a sauce of fried tomatoes, garlic and courgette. La Gomerans are passionate about their rustic meat dishes that offer the comforts of home cooking. 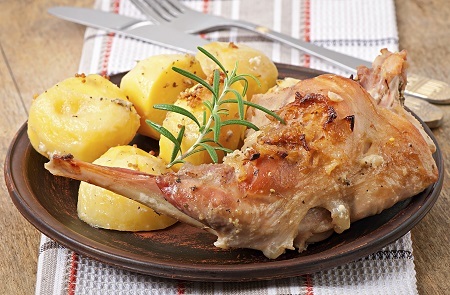 The most popular meats used on the island are beef, chicken, pork, goat and, that which is used in this dish, rabbit. Conejo en Salmorejo involves marinating pieces of rabbit in a sauce made from thyme, rosemary, paprika, white wine, garlic, vinegar and red peppers. The pieces are then removed from the marinade, pan-fried until brown and then simmered for around fifteen minutes whilst back in the sauce. 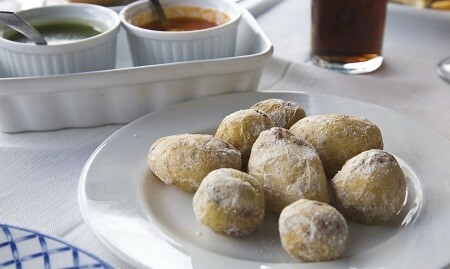 Loosely translated as ‘jacket potatoes in sauce’, papas arrugadas con mojo is a very popular side dish on La Gomera. The potatoes are boiled whilst still in their skins, in heavily salted water, until they go dry and wrinkly. They are then served with two different sauces; one red and one green. The former is quite spicy and features a mixture of red peppers, chillies, cumin and garlic, whilst the latter is slightly cooler and made with coriander, green peppers, red wine vinegar and more cumin. Bienmesabe is a dish that has Arabic origins, demonstrating the range of influences that Gomeran cuisine has. This is definitely a dish for those who have a sweet tooth and is often made using a honey that comes from the Gomeran palm tree – a native species of which there are only around 2,000 remaining. The honey is mixed with egg yolks, ground almonds, cinnamon and lemon zest before being boiled to make a thick cream. This is then served warm with ice cream to create a delicious dessert. If you can’t wait to try any of these tasty dishes, why not take a trip to the Hotel Jardin Tecina with Fred.\ Holidays? The relaxing resort offers excellent facilities and also includes an 18-hole, cliff-top golf course.